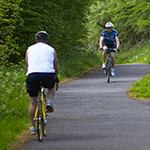 A new fund to encourage more people to walk and cycle for everyday journeys is now available for registered social landlords in Scotland. 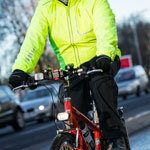 The Scottish Federation of Housing Associations (SFHA) is working in partnership with Cycling Scotland, Living Streets Scotland and Sustrans Scotland to provide £950,000 in funding from the Scottish Government. The new Social Housing Fund for Improved Walking and Cycling Facilities is available to housing associations and tenement residential properties across Scotland to encourage and support active travel within communities. It will prioritise areas of high deprivation in order to encourage walking and cycling for more sustainable everyday journeys. Social housing providers can apply for grants of up to £25,000 for a range of infrastructure proposals including cycle parking shelters, street furniture such as seating, litter bins, bollards and planters as well as improvements to access points and lighting. 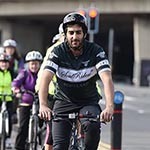 “This has been designed as a high-impact fund which will provide greater sustainable transport options and offer healthier lifestyle choices within Scottish communities – with a particular focus on improvements in our most deprived areas. “We’ve supported similar funds in the past which have improved active travel facilities within businesses, schools and universities, however, this is the first time a range of partners have come together to work directly with housing associations. “With our experienced active travel delivery partners partnering with the SFHA, this initiative is well placed to benefit social housing providers and communities across the country – and directly contributes to our ambition to build an Active Nation, ensuring as many as possible can enjoy the benefits of walking and cycling. “We are delighted to work in partnership with SFHA, Living Streets Scotland and Sustrans Scotland to support more walking and cycling for people living and working in social housing across Scotland. This new fund will improve facilities ranging from secure cycle parking to seating and will enable residents, tenants and housing staff to enjoy their outside space and get active. You can find out more about the fund and how to apply here.